Industry leaders have long been calling for greater use of off-site manufacture, an umbrella term meaning the design, manufacture and pre-assembly of components in a factory environment prior to installation on-site at their intended, final location . Modern Methods of Construction (MMC) including off-site manufacture, modular, smart construction and precision manufacture are increasingly championed as a means of reducing on-site labour intensity and risk while increasing productivity and predictability. 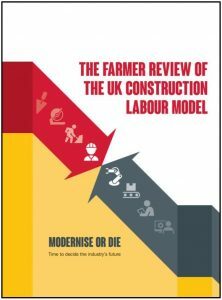 In 2016, the Farmer Review declared that the UK construction sector must “modernise or die”. With pressures from Brexit, the changing nature of work and a housing crisis mounting year on year, those words have weight and are now being mobilised through policy. The London Housing Strategy outlines the Mayor’s commitment to support and promote the modernisation of London’s construction industry through more precision manufacturing of homes. Central government’s Construction Sector Deal calls for a “bytes and mortar” revolution that uses digital design and offsite manufacturing to transform building construction. House of Lords Science and Technology Select Committee reinforces these messages with the second report of the 2017/19 session: Off-site manufacture for construction: Building for change. At FoL’s July London Housing Network event on off-site manufacture, delegates heard GLA ambitions for the sector and insights from practitioners working with precision manufacture in London. According to Ellen Storrar, Housing Policy Manager at GLA, flexibility and innovation will be required to meet London’s growth target of 65,000 new homes per year; traditional methods alone won’t deliver. Innovative construction methods also provide the sector with a crucial opportunity to attract new talent. LB’s Brent’s Major Projects Team deliver across the South East, providing continuity of service where other boroughs lack expertise. Major Projects Team Manager Jon Flynn has worked on two schemes using off-site manufacture and seen significant benefits in terms of speed, scale and quality. Strict factory conditions also offer reliability and building safety advantages. These are crucial and at the forefront of public consciousness, in the wake of Grenfell. For Sarah Davies, Head of Core Projects at Pocket Living, modular consistently delivers 30% savings compared with traditional methods. Factors include a reduced build time, allowing people and money to be recycled more quickly; lower interest payments; and a 75% reduction in site waste. Innovative methods lend themselves to innovative problem solving. PLACE (Pan-London Accommodation Collaborative Enterprise) aims to leverage the benefits of modular in a new approach to tackling homelessness. 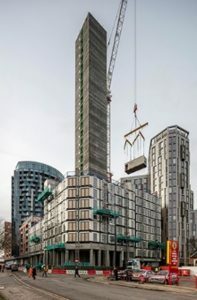 Director Mark Baigent outlined plans to occupy meanwhile sites across London with modular housing units, increasing the supply of high-quality, temporary accommodation. For Neil Deely, Partner at Metropolitan Workshop, modular unlocked the potential of a complex site bounded by a river and shopping centre with a storm drain beneath. The site was just 476sqm, but delivered 89 modular homes arranged around a 27-storey triangular core. 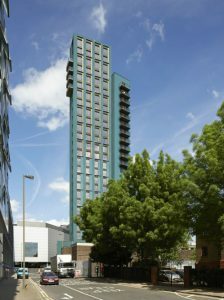 The project is a “reason to be hopeful” that modular construction and pleasing aesthetics are not mutually exclusive and described as “one of the best-looking examples to come out of London’s boom in residential towers” (Guardian). Off-site manufacture is not without its challenges. A nascent sector, lack of competition keeps prices high, while emerging companies without a track record struggle to enter the market. Procurement frameworks’ requirement for evidence of local employment benefits is a challenge for manufacturers operating from a static location. Awareness of method is also low – briefing designers as early as possible is key to ensuring plans are compatible with modular build. 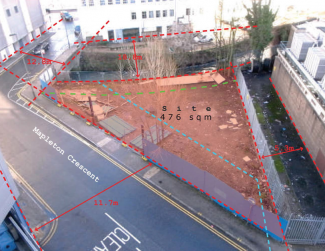 Small sites are often located within existing residential developments. Ensuring as much work as possible is done off site is key to minimising hassle for neighbours. Without the ability to scale, bringing the build cost down is crucial: even in the current climate of limited competition, modular has proven cost advantage. The smallest of the small sites are unlikely to be brought forward by even SME housebuilders: in these cases, quick, low-cost self-build options are needed. This July, In2Space, a designer of compact housing solutions, Founder Joe Teakle shared lessons from his project in Sutton. The company’s approach to delivering homes mixes traditional and modern methods of construction with green technologies. The homes are “A rated” for energy efficiency, generating their own through photovoltaic panels connected to air source heat pumps with hot water storage tanks. An experiment in optimising space, the homes are built to London Plan space standards and are compliant with building regulations, but designed with constrained, difficult urban sites in mind. While the pilot delivered two buildings in 18 weeks with just two to three crew on site each day, future In2Space schemes will aim for a build time of 12 weeks. These ‘prototype’ units are inherently more expensive (circa £150k for the one bed unit and £180k for the two bed) but the hope is that the model might prove a viable option for housing associations and community-led housing groups as the price reduces. As MMC evolves and uptake leads to increased understanding and cost efficiency, these methods will likely prove key to unlocking difficult sites and innovating in challenging areas. The next London Housing Network event will showcase good practice and lessons for delivering small sites across London. Join our mailing list to receive updates and invitations.